This is an absolute masterpiece. 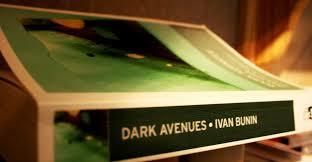 Dark Avenues is a collection of stories written in the late 30s and early 40s but they read as one. The themes of love and loss are consistent across them all and there is a strong poetic sensibility in the prose and the way the subjects are treated. This entry was tagged Bunin; Ivan. Bookmark the permalink.